PhysicsCentral, a web site run by The American Physical Society (an organization representing 48,000 physicists), has created a series of comic books designed to get kids excited about physics. 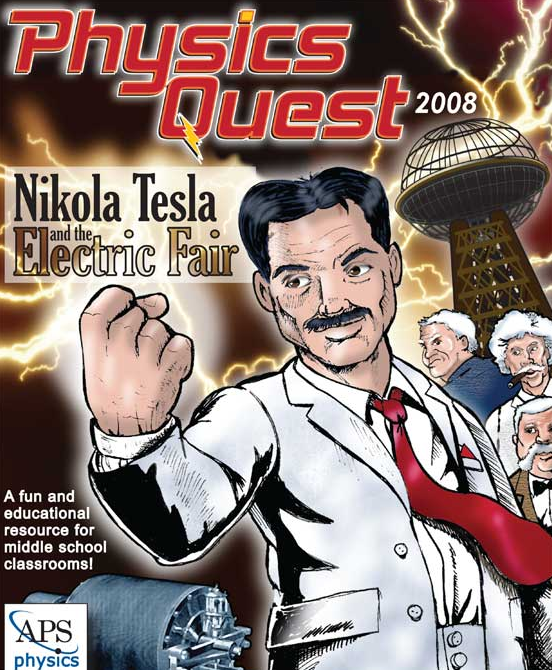 If you click here, you can enjoy Nikola Tesla and the Electric Fair for free online. The 2008 comic book pits Thomas Edison against Tesla, the unsung hero of electricity and magnetism. Also on the Physics Central web site, you can enjoy four free comics from the Spectra series, which presents the adventures of a middle school superhero, who possesses all of the great powers of a laser beam. We'll be sure to add these comics to our collection of Free K-12 Educational Resources. I would appreciate any free comic books. The font size is very small. Increasing the screen size or zooming in doesn’t help.